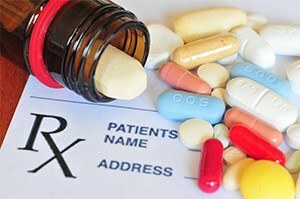 One of the most common forms of medical malpractice is a prescription error. Errors can include administering an inappropriate medication to a patient, administering the wrong prescription, prescribing the patient a medication that has an adverse interaction with other medications that the patient is using, administering the wrong amount of medication, or failing to provide warnings about common or dangerous side effects. In any of these situations, a Chicago prescription error attorney may be able to help you seek compensation. If a medication error causes you harm, you should consult the medical malpractice attorneys at Moll Law Group. Billions of dollars have been recovered in cases in which we have been involved. Medical malpractice exists when a health care professional fails to use the degree of care that a competent health care provider in the same specialty would provide to the same or a similar patient. This standard can vary depending on the geographic region. In the context of prescription drug errors, such as prescribing a medication that has an adverse interaction with another drug taken by the plaintiff, the question will be whether a competent doctor would have prescribed the same drug to a similar patient. A number of different parties may be liable for a medication error, including doctors, nurses, hospitals, pharmacists or pharmacies, and even a pharmaceutical manufacturer. Doctors and nurses may be held liable if they administer an incorrect medication or an incorrect dose, or administer it the wrong way. This can happen fairly easily, due to bad handwriting or simply missing a decimal point. If a pharmacist reads a doctor's handwriting and misinterprets the prescription, for example, a patient could receive the incorrect dose or even an inappropriate medicine. If no harm occurs as a result of this, there is no medical malpractice. However, if the patient suffers an injury due to the error, which another reasonably competent physician or pharmacist would not have made, there may be a viable medical malpractice claim with which a prescription error lawyer in Chicago can assist you. A pharmacist or manufacturer can potentially be held liable for mislabeling that causes a patient an injury. If the manufacturer puts the wrong label on medication, this may be the basis for a product liability lawsuit. In some cases, it can be hard to determine whether the facts of a case give rise to a medical malpractice or a product liability lawsuit. Manufacturers are required to provide adequate information about a product, including warnings about adverse drug interactions and dangerous side effects. However, in most states, manufacturers discharge this responsibility by providing such warnings to doctors under the learned intermediary doctrine. If your doctor fails to inform you of a warning relayed to him or her by a manufacturer, you likely would have grounds for a medical malpractice lawsuit. On the other hand, if the manufacturer never provides the warning to doctors, you likely would have grounds for a product liability lawsuit based on a marketing defect (or a failure to warn). The Chicago prescription error lawyers at Moll Law Group are available to help you sue for the compensatory damages you need. You should consult an injury attorney as soon as possible after the suspected malpractice occurs. We also represent people in Wheaton, Naperville, and Schaumburg, as well as communities across Cook County. Call us at 312-462-1700 or use our online form to schedule a free consultation.